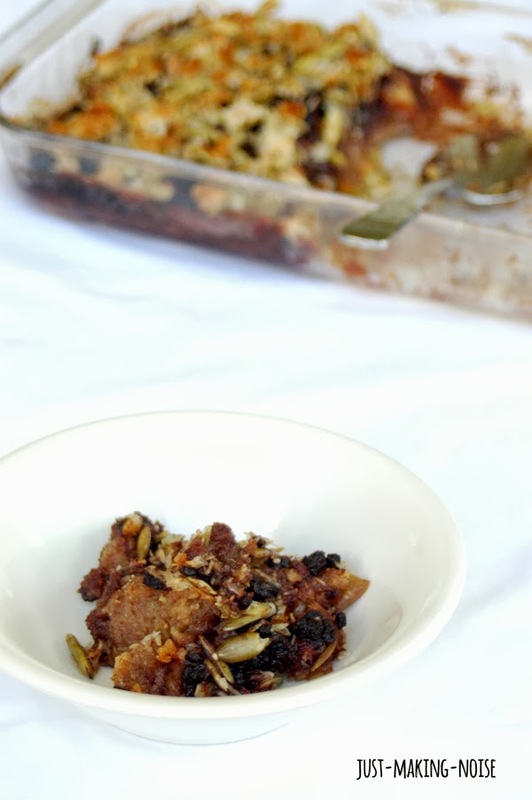 Today I am over at the Bulk Herb Store Blog sharing my flu buster dessert! I love the Fall and apple season! 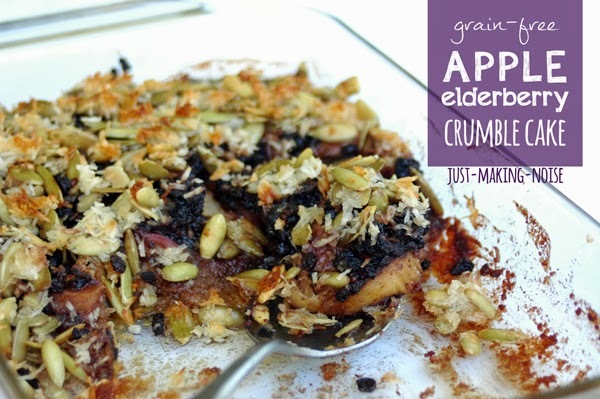 I thought it would be different and yummy to make an apple crumble cake with elderberries. To be honest, I have never baked with elderberries and was a little worried that the cake would turn out a flop. Thankfully, it turned out moist, delicious and surprisingly rich with a nice tart kick. Head over there, enjoy more pictures and get the recipe for the Grain-free Apple Elderberry Crumble Cake! Plus, learn about the amazing elderberry’s flu busting qualities! Thank you! Hope you will make it and enjoy it! Thank you Natalia! Hope you will enjoy it! I farmstead, so I try to use as much as I can from my own organically grown fruits and vegetables (and from my biodynamically kept top-bar beehives) as close to their natural state as I can. I got my first crop of elderberries this year, so have been trying to find ways to use them. So far most of the recipes call for dried elderberries being reconstituted. I harvested my crop and froze them, so they are the equivalent of fresh. How would you suggest I substitute fresh/frozen elderberries in place of dried?